Ardebil or Ardabil rugs come from the northern part of Iran, not far from the Caspian Sea. 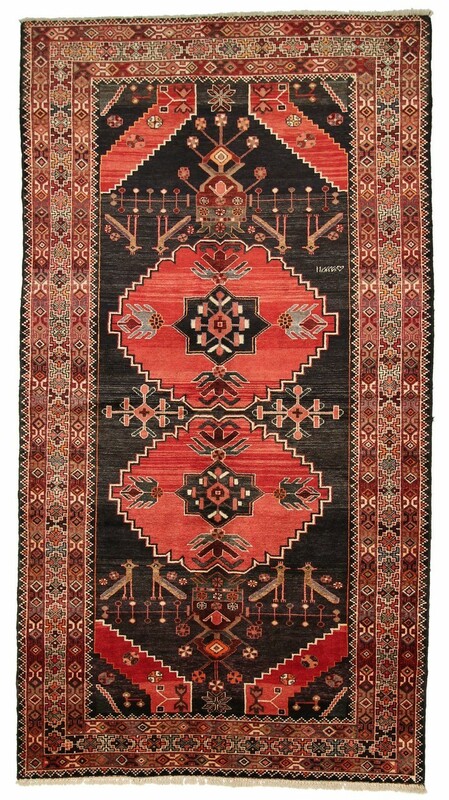 Typical for this type of rug are geometric patterns, which are also often found in village and nomad rugs. Their knot density is relatively coarse compared to other Persian carpets. Nevertheless, they are of very high quality and appear fine, which can be traced back to the thin pile. The natural materials of Ardabil rugs are sheep's wool (pile) and cotton (warp). They are used to make robust carpets that are in no way inferior to the high standard of other Persian rugs. Their somewhat coarser knotting, however, also explains the lower price that is often found with this type of carpet. Ardebil carpets, for example, offer a cheaper genuine Persian carpet with a typical design and a long service life. Location - where do you find the city of Ardebil (Ardabil)? The city is located in the north of Iran, not far from the Caspian Sea.